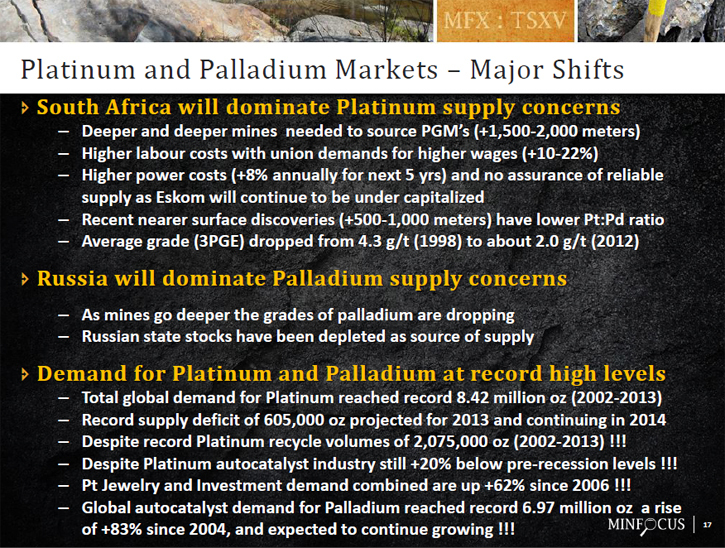 Metals News took the time to speak with Kenneth de Graaf, Senior Vice President and a Director of Minfocus Exploration Corp. to discuss the changes to the palladium and platinum markets that have been occurring over the last few years. 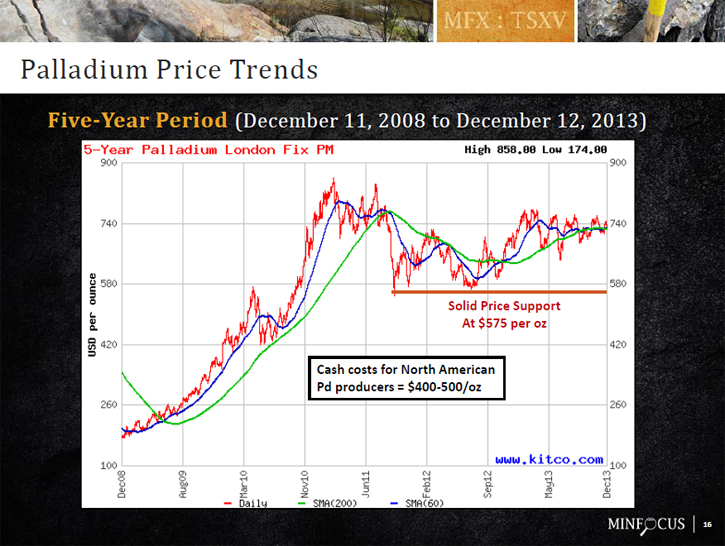 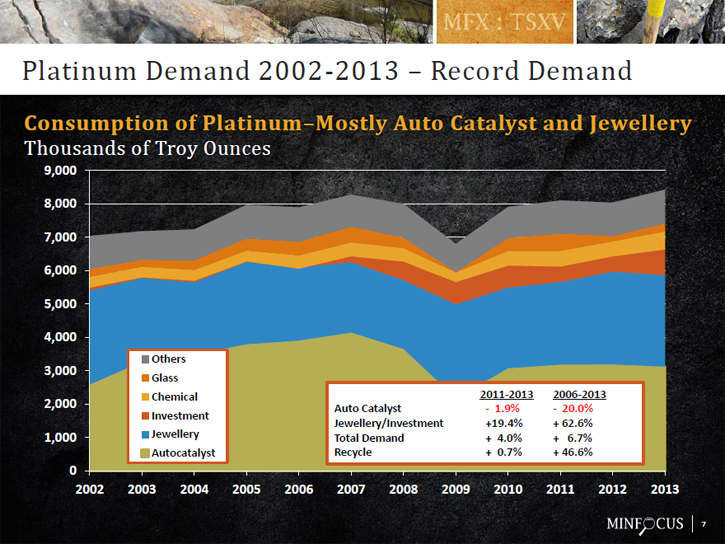 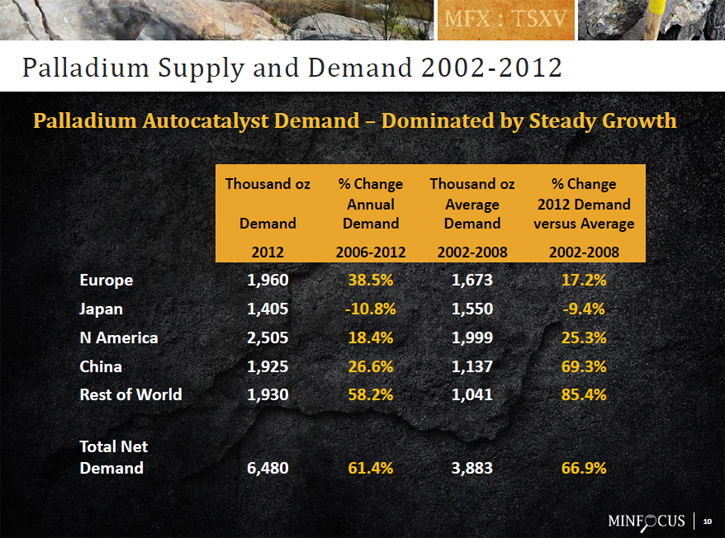 With global demand increasing due to the increase in manufacturing of cars, the supply of palladium and platinum are simply not meeting the demand. 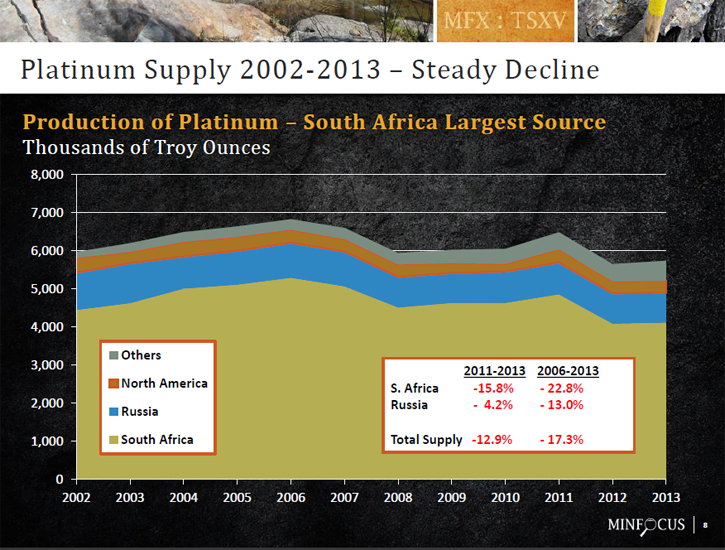 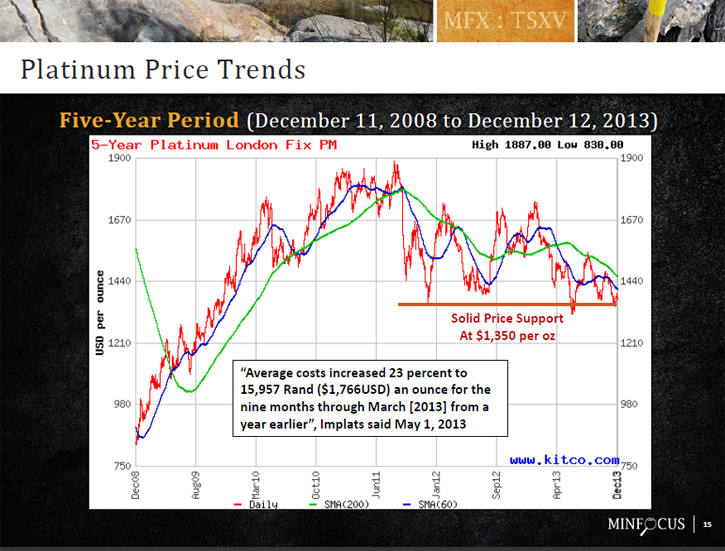 “With over 40% of the South African platinum mines reported to operating at a loss, we can expect some major shifts in the global platinum and palladium markets in the near future”, concludes Kenneth de Graaf. 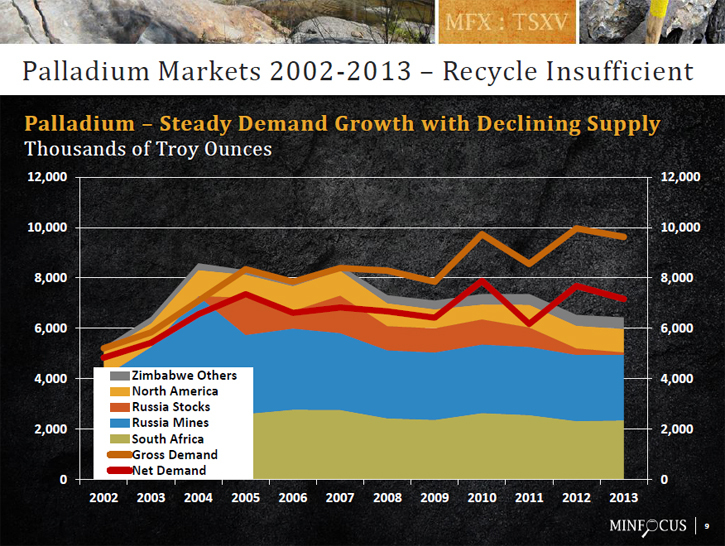 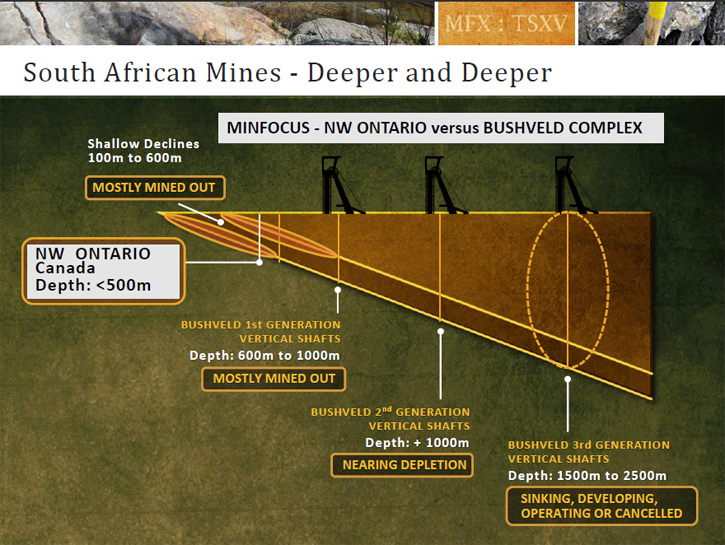 The world will need to start looking for alternative sources of supply of PGE’s, and North America will be one of the areas with the most stable jurisdictions to explore for new mines.